Neck pain is one of the most common pain conditions, second to back pain and tied with headaches. About 15% of U.S. adults report neck discomfort, according to the National Center for Health Statistics (NCHS). However, the condition affects up to 70% of people at some point in their lives, according to a study published in the Annals of Internal Medicine. 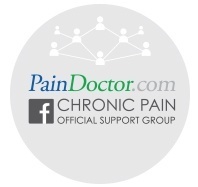 Females comprise the majority of pain sufferers, accounting for nearly 60% of people with the condition, according to NCHS. Adults aged 45 to 64 are most at risk; although people aged 18 to 44 experience the second highest rates of neck pain. In this post, we’ll be looking at 25 tips for living with neck pain, but we always advise talking to a neck pain doctor for your best bet at finding pain relief. Stress, injury, and poor posture are all linked to pain in the neck, however, where you experience pain may point to its cause. Achy necks most commonly stem from damage in the cervical spine—the gently curving portion of backbone that supports the neck. Potential sources of discomfort include minor fractures, dislocations, or bulging disc syndrome, a condition where the protective discs separating the vertebrae bulge out and cause pain. Other possible causes include injuries, like whiplash from a car accident, or poor positioning while sleeping or working. You may feel this pain in the neck, but also as neck and shoulder pain or neck and back pain. The location of your pain can also point to lifestyle habits you have that could be contributing to pain in your neck. Unnatural neck positions frequently have a detrimental effect on its health. This is especially true considering the many hours modern workers spend leaning over desks and towards computer screens. This position results in forward flexion and can wreak havoc on a person’s neck and shoulders. Some hobbies may also impact recovery. 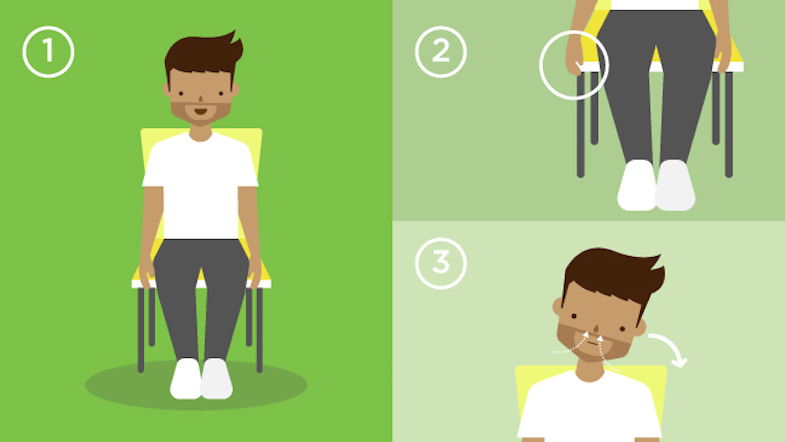 Avid bike riders, for instance, may experience pain because of neck flexion while riding. 2. Are you suffering from neck and shoulder pain? Pain in neck and shoulder areas can be caused by any number of factors. For example, damage to the rotator cuff, whether through injury or wear-and-tear issues, can lead a person to begin to compensate or use their shoulders differently. This could lead to soreness or pain in other areas, like the neck. MedicineNet.com also reports that most cases of shoulder and neck pain can be traced by to injuries, such as whiplash. Or your neck and shoulder pain may be caused by more serious conditions like cervical myelopathy where the spinal cord becomes compressed or cervical radiculopathy, when bone spurs press on nerves at the ends of bones. With all of these different causes, it’s important to always talk to a neck pain doctor. They can help you find what condition or lifestyle habits may be causing your neck and shoulder pain. Osteoarthritis is a degenerative condition that is generally caused by the process of aging. Known as a “wear and tear” condition, osteoarthritis leads to inflammation and pain in the joints of the body, more severe in some areas than others depending on several factors such as weight, activity level, and any previous injuries. The cervical spine (the neck area) can be vulnerable to osteoarthritis and the pain that accompanies it. As the vertebrae age, the spongy disc that provides cushioning between the vertebrae begins to deteriorate. The bones and ligaments start to get thicker and narrow the space of the spinal canal. This results in a condition called cervical spondylosis, which is essentially pain in the neck as a result of osteoarthritis. If you’re older, it could be that a degenerative condition is leading to your neck and shoulder pain. Another condition commonly associated with this is degenerative disc disease. If you suffer from a mild case of neck and shoulder pain, consider trying some gentle neck pain exercises. Or, you can try yoga for neck pain. Yoga International also provides three seated poses that can be especially useful for those with limited mobility. Yoga TX also provides a 20-minute yoga for neck pain routine you can do if you are suffering from shoulder and neck pain. With all of these exercises, start carefully at first and always talk to your doctor before beginning a workout routine. Always back off if you experience any sharp or shooting pains while practicing these exercises. 5. Are you suffering from neck and back pain? Anyone who works in an office or at a computer all day understands that it can cause upper back and neck pain. Everything from your posture in your desk chair to eyestrain from a computer screen can lead to long-term pain problems. Ergonomics is the science of the workplace experience and covers everything from the comfort of a person’s desk to the environmental factors in the office that contribute to stress. The correct placement of your computer, the height of your chair, and lots of other physical factors can help alleviate and even prevent long-term pain from your desk job. Make sure your feet are resting firmly on the ground in your chair. Your shoulders should be relaxed and your elbows at 90 degree angles to your keyboard. Your head should be back and your monitor should be raised enough so that you are looking directly at it, rather than upwards or downwards. Likewise, if you talk on the phone a lot, use a hands-free set so you’re not kinking your neck to hold your phone. If you’re at your desk, HealthLine recommends a few easy stretches for neck pain, including this head tilt pose. 7. Are you looking for neck pain and headache relief? If you’ve experienced headache and neck pain, there’s a good chance the two are related. Most headaches don’t stem from the brain tissue or skull — these tissues don’t have nerve fibers that communicate pain — but rather, are related to input from your scalp’s nerve fibers, which are connected to other parts of your body, including your neck muscles. When a problem in your neck stimulates a nerve that leads to your scalp, it can cause neck pain and headache. Stress, as tense neck muscles can lead to tension headaches. As Health.com reports, neck pain and headache accompanied by a fever may indicate meningitis, a more serious condition that requires immediate medical assistance. If you suffer from severe cases of neck pain and headache, talk to your neck pain doctor. This is especially true if the pain is severe or accompanied by neck stiffness, fever, or sensitivity to light. He or she will be able to determine whether your condition is the result of tension or a more serious issue, such as a problem in the in the spine, shoulder or neck. For more mild cases of neck pain and headache, you can try this set of three exercises from Madden Physical Therapy. You may also want to try activating these acupressure points to find neck pain and headache relief. TMJ damage (felt as pain or tightness in the jaw) can often lead to pain in the neck. One pain patient, Katie, explained how debilitating TMJ neck pain can be. If you suffer from TMJ neck pain, there are some interventional strategies you can use to reduce your pain. The American Academy of Otolaryngology recommends lifestyle interventions like resting the muscles, applying moist heat, and using stress reduction techniques. More advanced treatment may include anti-inflammatory drugs or muscle relaxants. TMJ neck pain, in particular, is often caused by stress and tension held in the muscles. You can begin to release this tension by practicing a few postural exercises, as explained by BreakingMuscle.com, or this easy sequence of isolated stretches from SmartStretch.com. Knowing the exact location of your pain will help your pain doctor find future treatments. Neck pain just doesn’t hurt. People experiencing pain in their necks frequently miss work or work less effectively. A study in the Journal of Occupational Rehabilitation found 32% of neck pain patients suffered productivity losses. Those losses are costly. A study in the journal Population Health Management found each worker with back or neck pain costs his or her employer as much as $8,512 annually, in terms of health benefits and sick days. Finding relief for your pain is important. These next few tips for living with neck pain cover lifestyle and interventional strategies you can try for relieving your pain. Check out the videos earlier in this post, or try one of our favorite stretches for neck pain by Sukie Baxter. You’ll find a great list of neck pain exercises over at Care2. See examples of some of these below, or in our longer post on the subject. Any severe neck pain, or pain that is continuous and persistent for more than three months, also requires medical care from a pain doctor. The University of Maryland Medical Center gives an in-depth look into the causes, diagnosis, and treatment for neck pain. Their discussion of cervical collars or cervical pillows for neck pain could be useful for patients as well. Always talk to a pain doctor before using a cervical collar, as less movement could actually exacerbate your issue. Acupuncture is an ancient Chinese medical practice that involves inserting hair-thin needles into specific points in the body. These points are tied to meridians, or energy channels, in the body. Acupuncturists believe that pain and other conditions are caused by energy blockages in the body. They suggest that this state can be remedied by proper placement of needles. This high disease burden is worth taking the chance on a treatment that may offer long-term relief of severe neck pain. Finding a qualified acupuncturist is key. Take the time to seek out a qualified, capable practitioner near you. You should also check with your insurance company to see if they will cover part of the cost. Ask your neck doctor for recommendations and a referral if that will help. While this may be difficult for western minds to believe, a new study is confirming that acupuncture, sometimes in combination with posture exercises called the Alexander Technique, is actually able to offer long-term relief of chronic pain in the neck. The University of York Health Sciences conducted a trial study of 517 patients. The study, called Alexander Technique Lessons and Acupuncture Sessions (ATLAS), was funded by Arthritis Research UK in an effort to help find new treatments for arthritis-related chronic pain. Study participants were divided into three groups. One that received acupuncture, one that learned the Alexander Technique, and one that received standard care for neck pain. After a year of treatment, those in the acupuncture and Alexander Technique groups found their pain reduced by 32% and 31% respectively. This was in comparison to a 25% reduction in pain for those receiving traditional care. In addition, participants receiving acupuncture and lessons in the Alexander Technique were better able to cope with their pain when it did flare up. Our own pain doctors have gone into detail into how radiofrequency ablation for neck pain works. SSM Pain Care also discusses how a patient just like you has used radiofrequency ablation for neck pain and found pain relief. Medical intervention and drugs aren’t the only treatments for persistent pain in the neck. If you’ve been feeling the effects of long-term neck problems that not only make you uncomfortable but also affect your quality of life, you may want to consider neck pain chiropractic adjustments. Chiropractic is a medical specialty based on musculoskeletal adjustments that realign our body’s natural positioning and bring relief for painful conditions caused by misalignments. Treatments can be used for a wide variety of conditions and are very useful for pain in the neck. Many aspects of our daily lives can affect the natural positions of our neck. Simply sitting at a computer for work all day can throw off the balance of our bodies. Chiropractic neck adjustments can readjust and relieve pain. Chiropractic treatment to help restore normal range of motion and reduce pain in your neck may occur over an extended period of time. Several neck pain chiropractic adjustments may be necessary before you find yourself back to normal. Your neck pain doctor may also recommend ongoing adjustments to prevent any further pain or damage from occurring. Herniated discs in the cervical spine are those that have slipped or ruptured, and can often lead to pain in the neck. Fortunately, a minimally invasive procedure known as percutaneous discectomy has been shown to effectively treat the condition. The outpatient technique lasts about an hour and features a relatively quick recovery time. The word “percutaneous” means through the skin, while “discectomy” means surgical removal of a disc, or a portion of it, that is thought to be causing the pain. Spinal discs are composed of hard, rubbery outsides and jelly-like centers. When discs become herniated, part of the jelly-like center leaks through a crack in the tough exterior. This leakage creates pressure on sensitive areas in the cervical spine, leading to pain. Studies have shown cervical percutaneous discectomy to be both safe and effective at reducing pain. A study published in the Journal of Spinal Disorders and Techniques found nearly 91% of patients experienced a good outcome during a 12-month follow-up period. Researchers said the procedure offered a safer alternative to more invasive procedures while also requiring less time for recuperation. The procedure also shows potential for long-term pain reduction. A study published in the journal Pain Practice followed patients who underwent the procedure for two years, and found the positive results endured. Even as it was being used to restore a youthful appearance, Botox was also being studied as a potential treatment for debilitating migraine headaches. Botulinum toxin type A is a neurotoxin that, when injected into the muscles, blocks the nerve signals that cause muscle tightening. This allows for these muscles to relax naturally and can help alleviate pain, including head and neck pain. Botox was approved by the FDA back in 2010 specifically to treat chronic migraine pain. Injections are given over the period of about 12 weeks in specific points on the head and neck to can relax the muscles and prevent them from tensing and causing pain. Beyond migraines, Botox may be able to be used for tension in the neck due to muscle stiffness as well as other headache conditions such as cluster headaches. The American Association of Neurological Surgeons goes into more detail about neck surgeries you might want to consider if less invasive methods haven’t worked. SpineUniverse also has an in-depth look at the types of surgeries that can help with pain in the neck. Working with a trusted neck pain doctor is your first step in finding relief. Contact one of our pain doctors today to discuss the pain treatment options you have. I love your advice to look into where the problem lies. I think that a lot of people don’t understand that their problems may be related to something other than where the pain is. That is why it is so important to get checked out by a professional about where the problem is. Do you have any tips about getting help with back and neck pain? I never thought about trying yoga as a means to get rid of your neck pain. That seems like something that I will have to try out. I was in a car accident a few weeks ago and am dealing with a lot of neck and back pain as a result. Keeping these tips in mind as I look for solutions will be a great place to start, thank you for sharing! We hope yoga helps with your neck pain Danni! The best way will be to work with a yoga teacher who knows you have pre-existing neck pain so they can suggest modifications to the poses so you don’t increase it more. Great post on neck pain. Very detailed! We’ve found that a combination of stretching, strength-building exercises, and chiropractic seems to bring about the fastest pain relief and return of function. Some patients see results faster than others of course. Yoga is a powerful way to increase flexibility and strength at the same time. Our patients who begin yoga usually see their injuries heal faster and more long term – if they stick with it. Thanks again for the post! These are some great tips; after all, neck pain can be a huge problem, especially if it is hindering work. I also like that your recommend seeking a doctor or chiropractor if the pain persists. After all, there is only so much that changing the way you sleep or a using a neck pillow can do. Thanks for the great advice, my wife has been dealing with some neck pain for a while and I’ve been looking for ways to help her. We’ll definitely have to try out some of the exercises that you recommend in the article. Hopefully that will keep her comfortable until we can find her a chiropractor.